For example, some employers contribute up to 6% of an employee’s salary on a dollar-for-dollar basis, up to the amount of the employee’s contribution. If you make $50,000 per year and set aside 10% of your salary into your 401k ($5,000), in this scenario your employer would contribute an additional $3,000 (6% of $50,000), increasing your total investment to $8,000. This is a major benefit that substantially accelerates capital growth. Investing $5,000 per year for 20 years with a 5% growth rate results in a fund of $104,493; investing $8,000 over the same period at the same return produces a fund of $167,188. The ending balance is a combination of the money you invest and the rate of return you earn on your investment over time. With that in mind, you should work to maximize your contributions – including your employer’s matching contribution – by selecting the investments that will help you achieve your retirement goals. Determining which investments are the “best” investments is not a “one size fits all” endeavor. Everyone starts saving at different ages, with different goals, different incomes and expenses, and varied retirement expectations. All of these factors affect which investments are most likely to fit your particular needs. Your decision may be further complicated by the investment options made available to you by your employer. By law, 401k plans that allow you to select your own investments must offer at least three diversified options, each with different risks and returns. Generally, you’re not allowed to invest in collectibles, such as art, antiques, gems, or coins, but may under certain circumstances invest in a precious metal, such as gold. These are not usually recommended for retirement plans since they don’t earn a standard return, but fluctuate in price based on investor psychology and industrial value. At a minimum, you should invest at least to the level of your employer’s matching contribution. In 2014, you can contribute up to $17,500 (or $23,000 if you’re 50 or older), with a maximum contribution of $52,000 (including the combination of your contribution and that of your employer). Most people find it easiest to break annual contributions into equal parts deducted each pay period. For instance, if you want to contribute $12,000 a year, you would request to have $1,000 deducted from your salary each month. Both Mike and Tom earn the same 5% interest rate on their investments each year. Mike starts saving $200 a month in his company’s 401k plan at age 25, with an additional $100 per month contributed by his employer, for a total of $3,600 per year. Over the course of a 40 year career, he contributes $96,000 to his retirement plan. By age 65, Mike’s balance grows to $468,636. Tom, on the other hand, waits until he’s 45 to begin saving in his employer plan. He contributes $400 per month, with a $200 match by his employer, for a total contribution of $7,200 annually. While Tom contributes the same total amount as Mike – $96,000 – his investment only has 20 years to grow. When he retires at age 65, his total investment is only $250,923, an amount roughly half of Mike’s final balance. Your final balance is the sum total of the money you invest, your earning rate, and the time your investment is allowed to grow. Saving more and longer reduces the amount of earnings you must achieve to reach your final goal. As the rate of earnings decreases, the amount of risk needed to capture that earning rate also decreases, expanding the investment choices you have available to you. The time between today and the day you want to retire is a major consideration when selecting the best investment plan. Simply stated, you can afford to take more risks when you have more time. Most investments are volatile over the short term – initially their prices rise and fall based on investor psychology, rather than actual financial results. As time passes, actual results replace psychology, so that prices reflect the company’s ability to consistently deliver profits. Potential becomes reality. As an example, the stock price of Apple closed on February 15, 2013 at $442.80 per share; one year later (February 14, 2014), it closed at $543.99 per share. Had you purchased the stock on February 15, 2013 and sold it on February 14, 2014, you would have earned $101.19 per share, or 22.8% on your investment. During the year, however, the stock price varied from $385.10 per share (April 19, 2013) to $575.14 (December 5, 2013). In other words, you could have lost as much as 13%, or gained as much as 29.8%, had you sold your stock prior to the end of the year. When looking at long-term trends, Apple is an excellent example of continued growth. Apple has demonstrated the quality of its management for years, and early investors are now reaping the rewards. For instance, Apple stock in 2009 topped out at $213.95, and Apple stock in 2004 topped out at $34.40. Someone who purchased Apple stock in 2004 for roughly $34 a share, and sold on February 14, 2014 for $544 a share, would earn a 1,600% return on their initial investment. This proves the benefit of time when considering risk and reward. Unfortunately, as your retirement age nears and your investment horizon shortens, you lose the security that good company management results in an increased stock price. Even if you need to reduce your investment target, it’s wise to choose more secure investments, curbing volatility by exchanging potential for certainty. While a 30-year-old can invest aggressively, having 35 years or more to make up for mistakes, a 60-year-old doesn’t have that luxury since time isn’t on his or her side. 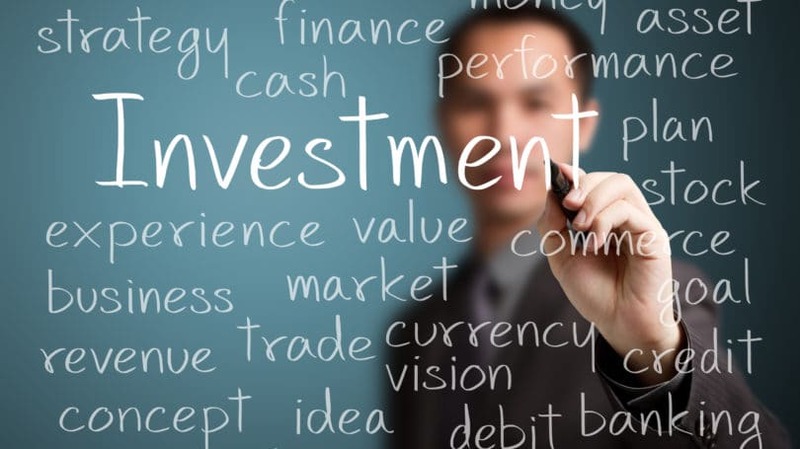 What do you know about different investments? Have you bought or sold common stocks, purchased a corporate or government bond, or owned a mutual fund? Do you understand how diversification – owning multiple assets rather than one – affects risk and return? Is your experience limited to opening a savings account or buying your company’s stock? Do you have time to learn about investing, and the investment alternatives available to you? 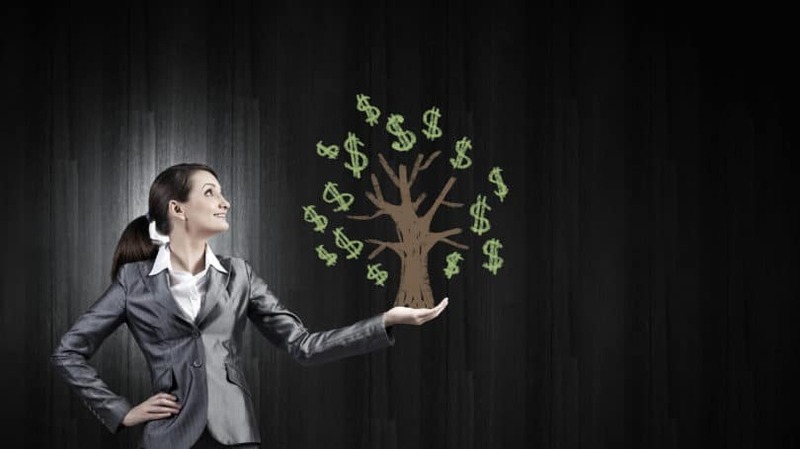 Depending on the structure of your 401k, there are lots of decisions to make, especially if your employer allows you to direct the investments within your account. Money Market Funds. This investment is considered low risk and low reward, with investments in short-term Treasury notes and Federally guaranteed Bank Certificates of Deposit. There is virtually no investment risk, but the return is usually equivalent to the inflation rate. Any money you think you’ll need within the next year should be invested in a low risk asset where there’s little risk of loss. Bond Funds. A managed fund of corporate or longer-maturity government bonds is generally considered low to medium risk, with low to medium reward. While bond funds lack investment risk (the bonds are paid when they come due), they do bear interest rate risk. In other words, bond price varies conversely with the interest rate over time. When interest rates rise, bond prices fall so that new and previously issued bonds have parity in the marketplace. This means a bond with a face value of $1,000 and a 4% coupon would sell at $667 if interest rates rose to 6%, even though it’s paid at full face value when it matures. Conversely, a bond with a 6% interest rate would sell at $1,500 if interest rates fell to 4%, even though the bond is redeemed at maturity for $1,000. These assets are perfect for reducing the overall risk of your retirement holdings, and should represent an increased percentage of your total portfolio in the five years leading up to retirement. Balanced Funds. While balanced funds carry more risk than bond funds due to their common stock exposure, balanced funds also offer greater opportunity for return. As the percentage of bonds within your portfolio rises, the volatility of your portfolio is dampened. Most balanced funds include a diversified portfolio of mature U.S. large-company common stocks. These companies are usually well-managed, with long histories of profitability. Their size makes major loss unlikely, just as extraordinary profit is also unlikely (it’s easier to double $1 million in earnings than $100 million in earnings). Balanced funds typically earn at a rate of 2% to 3%, plus inflation, and should be the core holding of most retirement portfolios. Growth Funds. Composed entirely of stock investments, growth fund portfolios typically vary according to the specialty of the fund manager. They can be industry-specific (e.g. technology), a particular stage of company growth (e.g. emerging markets), or focused on company size (e.g. small cap growth). Growth funds are more volatile than balanced funds – their price varies more day-to-day – so they have higher risk of loss, but greater potential for reward. A growth fund should provide a return of 4% to 5% over inflation to compensate for its increased risk. You understand that your professional fund manager is also projecting the market and taking steps to protect or improve your portfolio. In other words, your efforts to improve your returns may be redundant to the efforts of your fund manager. Even if you’re not prepared to adjust your portfolio on an annual basis, it’s wise to regularly align your portfolio’s risk and reward parameters with your age, decreasing your investment risk as you approach retirement. Many professional advisers suggest a ratio of 90% equities to 10% bonds in the 5th year preceding retirement, subsequently increasing bond percentage each year. In the year of retirement, they suggest a 50%/50% ratio between equities and fixed income. The most important consideration when selecting your investments is your comfort and confidence in your choices. Everyone perceives and handles risk differently, whether it’s making an investment, or choosing a vacation spot. There’s no right or wrong level of risk tolerance, which is generally influenced by experience, knowledge, and personality. For instance, most people would consider driving a car at a 100 mph dangerous, but to a professional driver, 100 mph is just an easy country ride. The professional is not a dare-devil – he has learned that the risk of an accident isn’t as great when his car is well maintained, the road is in good condition, and the driver is experienced. The fact that your risk tolerance is relatively fixed doesn’t mean that your choice of investments has to be. The more you learn, the more able you are to identify real risks, just as a professional driver learns how fast he can take a turn. If the return of volatile investments appeals to you, make an effort to learn as much as you can about these investments, including how to eliminate or transfer risk. For instance, if you decide to invest in a new company that has great potential, but high risk, you could reduce your total risk of loss by placing the remainder of your funds in low risk investments. Time. If you have many years before you need your investment, even a major loss can be overcome. Employer’s Matching Contribution. The “free money” provided by your employer may mean you don’t need to take inordinate risks to achieve your goal since your return is already magnified by their investment. If you decide to take the risk and it works against you, your employer contribution softens the blow. Your final retirement balance is a function of the money you invest, your earning rate, and how long your money’s invested. You’re in control of the amount of your investment and the nature of the investments you make, while circumstances may influence the time you have to invest. The best investments for your 401k are those that provide the highest return based on your age, income, risk profile, and employer contribution. Fortunately, through effort, education, and experience, you can expand the choices available to you while remaining comfortable with your decisions. Do you have a 401k? How do you determine where and how to make investments?